Welcome to the home page for GORC Clinic Soccer. 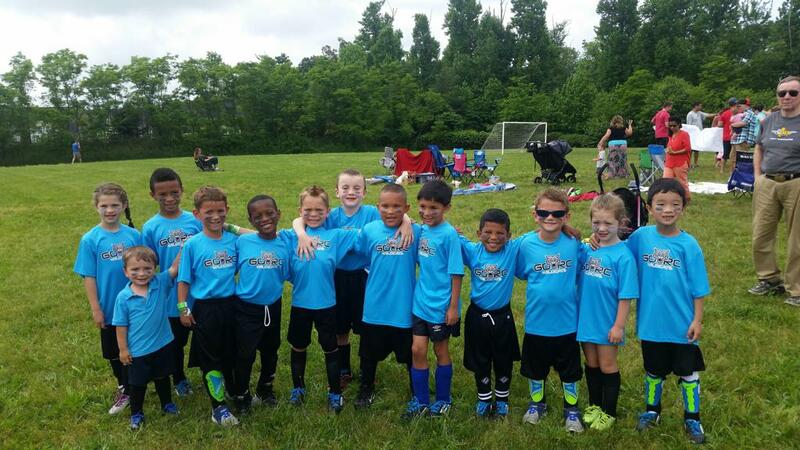 Our soccer program is offered for U4, U5/U6 and the U7/U8 age groups only at this time. For our older and more serious soccer players, we recommend Arundel Soccer. You can find more information about them by visiting their website at www.arundelsoccer.com. This program can only succeed with the help of volunteers. We are in need of coaches and assistant coaches. We never want to turn away players, but we need enough coaches to form teams for all of the players signed up. If we do not have enough coaches, we will not form teams and your money will be refunded. Please consider helping out. Coaches do not need soccer experience. We will provide you with the tools you need to run a successful season. April 13 - GORC Spring Parade @ 9 AM. Soccer games will begin at or after 1 PM this day. Practices & games start in early April and end in early June. Practices & games held at Four Seasons ES. Size 3 soccer ball required. Shin guards recommended. U5/U6 $65 9/1/2012 to 8/31/2014 Practices & games start in early April and end in early June. Shin Guards & Size 3 soccer ball required. Soccer cleats recommended but not required. Shin Guards & Size 3 soccer ball and soccer cleats required. * Fee: $3 Anne Arundel County Recreation & Parks fee also applied to all registrations. Registration costs include jerseys, socks, trophies, and team equipment. Picture costs are not included in the registration fee and will be purchased separately on Picture Day. Practice Commitment – 1 day per week. Practice days determined by head coach and field availability. Players will be grouped based on age. Games will be played without goalies and with small fields, goals, and team size will be kept small to maximize player time and development. This age group is about having fun while learning some basic soccer skills. All games will be on Saturday mornings. Practice Commitment – 1 to 2 days per week. Practice days determined by head coach and field availability. Players will be grouped based on skill and age. Games will be played without goalies and with small fields, goals, and team size will be kept small to maximize player time and development, including actual ball touches. Practice Commitment – Typically 2 days per week. Practice days determined by head coach and field availability. Games will be played with goalies and on medium size fields, medium size goals, and team size will be capped to maximize opportunities. Games will be 7 v 7 with two 25 minute halves and a 5 minute half time. If there is a cancellation of games due to factors such as weather it is up to the commissioner to determine if games will be rescheduled. Coaches will coordinate this if games are to be rescheduled. Coaches will have the option to be on the field during the game.